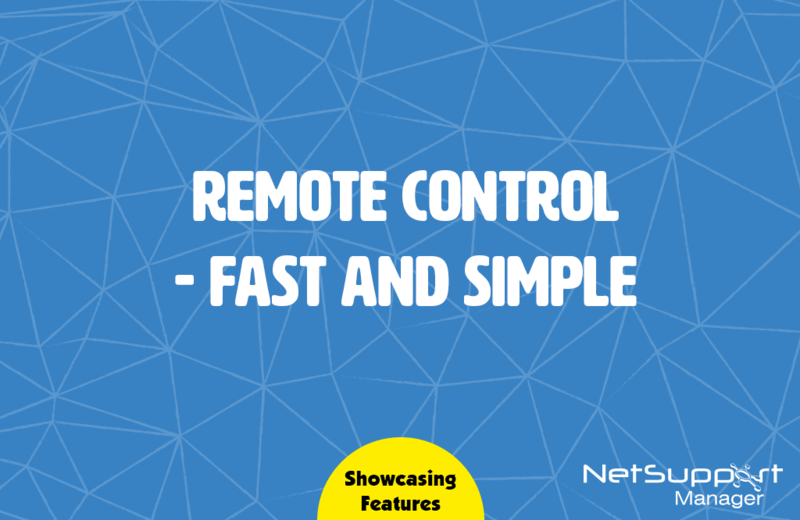 NetSupport Manager delivers the fastest and most secure remote control available: you can watch, share or control the screen, keyboard and mouse of any PC, irrespective of colour depth, resolution or operating system. During a remote control session, you can capture screenshots, annotate the screen to highlight areas of focus for an end-user or use the audio functions on multimedia-capable PCs to talk to your users while providing support. Best of all, you can record your remote control session and store as a replay file for future use. For training purposes, NetSupport Manager can also do the reverse of Remote Control: namely, “show” the Control screen back to all selected end users and utilise a range of on-screen annotation tools to aid in your presentation or training.